Budget if you want to have financial peace. We've all heard it, if you want to be rich, you need to budget. If you have been following this website for any length of time, you'll also know that I'm a huge fan of budgeting. But do you really believe you're going to become a millionaire in the next 10 years through budgeting? Here's the dirty little secret that many financial gurus will not tell you. If your intention is to become a millionaire any time soon by budgeting, you're going to be sadly disappointed. Let me tell you a little story about Emilio to explain. JOE BECOMES A MILLIONAIRE IN HIS 30'S BY BUDGETING AND BEING FRUGAL!? Emilio, a brilliant young man who follows us, had an idea for a story about two people named Joe and Matt. The idea was to follow these guys along through their 20's to where Joe became a millionaire in his 30's, and Matt was still living paycheck to paycheck. The idea was good in theory, and the initial storyline sounded like it was taken out of one of a hundred self-help personal finance books. Joe was frugal, paying close attention to the budget, and invested the savings each year, while Matt blew all his money each month. Joe became a millionaire in short order due to his frugality, while Matt was still struggling to make ends meet years later. The struggle was that he couldn't get the math to check out. How can you possibly save enough money to become a millionaire in 10 years? If all you do is save and the money doesn't grow, you'd have to save $100,000 per year for 10 years to save up a million dollars. That's going to be quite a stretch for most people, especially considering the median income for an entire US household is only $55,775 according to the 2015 census. BUT WHAT ABOUT COMPOUND INTEREST? But wait, the magic of compound interest fixes the calculations, right? Let's say Joe saves 10% of his money each month and invests it, and is making $50,000 a year. A quick check on wealth front shows a projected 5-7% long-term return on stocks. Let's say we do twice the low estimate and make 10% a year. We're smarter than all those other people right? Plug in the numbers into this compound interest calculator, $417/mo invested, 10% growth compounded annually, and voila...um...hmm. Not too shabby, $79,750 built up over 10 years. But it's no million dollars. We're not even a tenth of the way there!!! 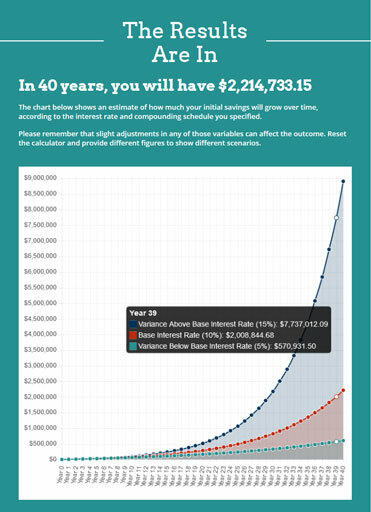 Now many FIRE (Financially Independent and Retire Early) enthusiasts will go to extreme measures with saving rates, but even at a 50% savings rate, you're still not going to make it to millionaire status in ten years making only $50k a year. 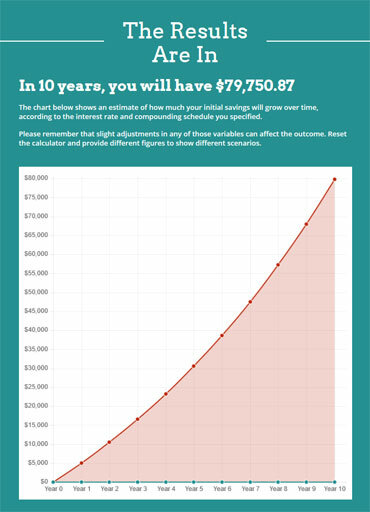 You'll be a lot closer, somewhere around $400k in ten years according to the calculation below if you're putting in $25k a year. If you do that you should hit the millionaire mark in 17-20 years, but do you really want to live two decades of your life in borderline poverty? Keep investing 10% of your salary for your entire working career and don't even bother to change how much you invest, and you'll end up with a hair over $2.2 million in 40 years with a 10% interest, or up to $7.7 million if you were somehow to figure out how to get 15% compound interest. Not bad. Not bad at all. But you won't be a millionaire in your 30s. He revised the story, added in increasing salary over the years by investing in personal growth. What an amazing idea, I love it, and he is on the right track! The only problem was that the salary figure needed to make the numbers work to get to a million dollars in 10 years is pretty insane. If you can find me an employer that would give those kinds of raises, sign me up! So can you become a millionaire by living frugally and budgeting? Absolutely. You can become a millionaire by living frugally and budgeting, but only if you have enough time and remain disciplined for a really long time. 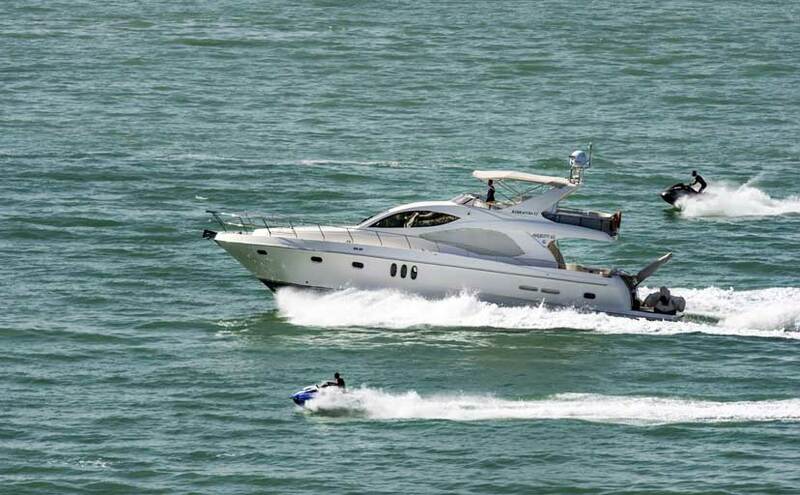 You won't be able to buy this yacht when you are young by budgeting alone. The thing with millionaires that most budgeting books don't tell you is that the average millionaire does not rely on a job or even passive investments in a retirement account for their sole income sources. They find ways to get more than one stream of income. Certainly, a job can be a big part of that income stream, but they also invest their money into a variety of investment vehicles including stocks, rentals, and get a side or core businesses going. You might have heard about the average millionaire having 7 streams of income. Mark, a CPA from Detroit, puts it this way. "There are no "7" streams. Each millionaire is an individual and has anywhere from 1- 50 streams of income. They vary according to the individual." Think about that for a moment. 1-50 streams of income. Here's an article that may help give you ideas on how to add more streams of income to your portfolio: "150+ Ways to Make Extra Money This Year". Before you go starting up five businesses, keep in mind there is danger in trying to do too many things at once, which I've had personal experience with. Have you ever tried juggling? How many balls can you keep in the air at once before you start dropping some? How many before they all come crashing down? If you're a beginner juggler, you'd probably say I can keep one ball going forever. Two I can usually keep from crashing. Three...well, I can occasionally get three up in the air at once. 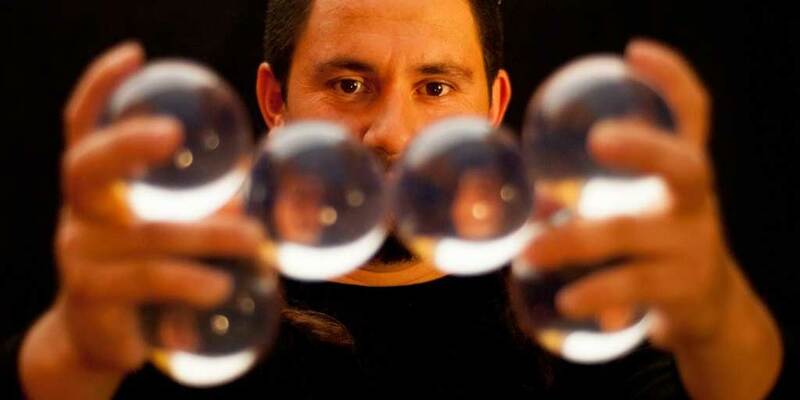 An intermediate juggler might think three are easy to keep in the air, while a master might be able to consistently keep four or five in the air. The point is we all have our limits, even if those get better with time. How many things can you juggle at once without dropping the ball? We have our limits individually, but what if we were to hire 20 jugglers? I'll bet that's how the guy with 50 streams of income did it, he found others to help out. Our affiliate partner Fiverr is a good place to find help on repetitive or creative tasks, that's where we recently had our logo refreshed. You really can't afford to spend time on things like that when you can pay someone $5 and be done, and get a better result than if you did it yourself. Of course, you need to make sure that whatever you're spending money on you're getting a return from, otherwise, you're not investing, you're just spending money. Take a look through the Forbes list of Billionaires. How many of them do you think got on that list solely because they were good at budgeting? WHAT ARE SOME COMMON MILLIONAIRE STRATEGIES? Plan Out Spending: Most millionaires are in fact good at budgeting if they are self-made millionaires. Most of them have taken courses or read books similar to these courses from our affiliate partners - Dave Ramsey's Financial Peace University or Adam's Budgeting for Budget Haters course. Finding ways to make your money go where you want it to go is one thing that all of these people have in common. This is most critical in the early stages when you aren't yet a millionaire. Earn More: It should be obvious, but it is a lot easier to become a millionaire if you are making millions every year. I'm sorry to break the news to you, but you aren't likely to find a "job" that will pay you millions. You're going to have to branch out a little and add a few more sources of income. Help Others: Nearly every millionaire I know helped a lot of other people with what they want to get or accomplish. If you can get 100 people to pay you $10,000 each for your services, guess what, you just made a million dollars. What would you have to do for someone to pay you $10,000? What would you pay $10,000 for? Probably easier to find 100 people to pay you $10,000 than to find one willing to pay $1 million. Take that concept and scale it up, maybe you can find 1,000 people to pay you $1,000 each, 10,000 people to pay you $100 each, or 100,000 people to pay you $10 each. Scale It Up: Millionaires have gotten really good at networking and delivering services and products that a lot of people want. They often build entire teams of people to deliver solutions to lots of other people's problems because it is hard to scale something if you are doing it all yourself. Build a Business: Most of these people have their own business or are partners in a business. Before you call your boss and quit, keep in mind that only 1 in 3 businesses survive 10 years according to the US Small Business Administration. HOW DO MILLIONAIRES SUCCEED IN BUSINESS WHEN TWO-THIRDS OF BUSINESSES FAIL? Millionaires minimize risk while still taking risks. The vast majority of the wealthy read frequently, and they read to learn. That's one way of minimizing risk, by studying how others have succeeded and what pitfalls were encountered. They also learn to fail fast, with minimal upfront investment. Here's a little life story from a billionaire on Quora. What do you think would have happened if he put every penny he had into the first few failed businesses, or worse yet took out huge loans for them? Work Hard: Work hard at your regular job. Study and look for ways to take on more responsibilities to get those nice raises. Go ahead and budget and cover the bills with this income. Increase Your Income: Look for ways to increase your income. Read "150+ Ways to Make Extra Money This Year". Side Jobs: Look for other ways you can provide value to people as a side job. Can you build something to sell on the side? Who can you build relationships with? A large part of success is dependent upon relationships. Don't quit your day job, realize you are very likely to fail here at first, but don't let that keep you from trying. Retirement Accounts: Don't ignore your retirement, go ahead and invest in your standard 401k or Roth IRA. If your employer matches you, it is going to be really hard to beat that immediate investment return. This investment alone is likely to make you a millionaire. This won't happen overnight or even in ten years, but you'd be surprised what you can build up in a retirement account over the course of your career. 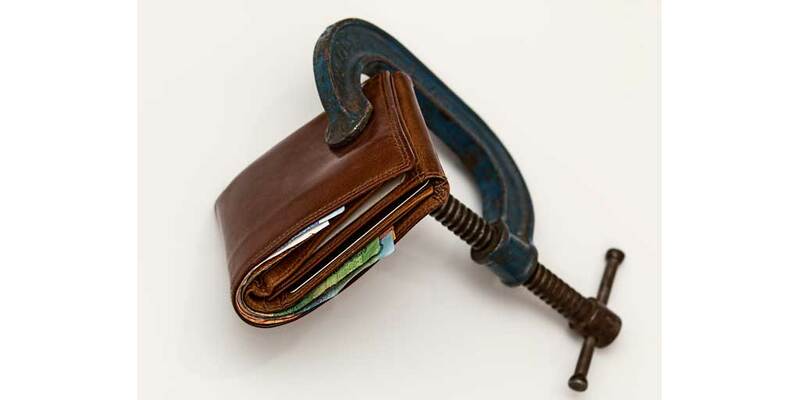 Buy or Create Assets That Pay You Back: Buy things that increase your monthly cash flow like rental properties. Robert Kiyosaki, the author of the Rich Dad Poor Dad series, mentions real estate as a key investment in his portfolio in his books including his latest Retire Young, Retire Rich. If you can buy something and spend $500 a month on it while bringing in $1000 a month, congrats, you've just added $500 a month to your paycheck. Stop Trading Time For Money: Look for ways to free up your time. Our services partner Fiverr - Professional services, starting at $5! is a great way to find people willing to do a lot of work for a minimal investment. Use your time wisely, millionaires don't waste time on things they don't enjoy or at least that don't make them a significant amount of money. Invest in Yourself: Always be learning. Sign up for our newsletter for book recommendations and articles to challenge you, take courses from places like Udemy, read, look for mentors or hire someone like me to coach you. Learn about the math behind investing in yourself and invest in yourself. Don't Be Afraid to Fail: Try new things, look for ways to reduce your risk, and don't be afraid to fail. I believe fear of failure is the biggest reason most people will never go too far outside their comfort zone. Let fear do its job by keeping you from putting it all on the line for very risky ventures yes, but don't let it stop you from pursuing your dreams. I hope this has been helpful in explaining why you will not become a millionaire any time soon if the only way you are trying to do that is by creating and working within a budget. There's a lot more to it than that. A budget is certainly a good place to start, but you won't become a millionaire in the next few years if that is all you do. Take these ideas, and get started. Keep learning, and have an amazing day!